The airport advertising defines use of static and digital signage which are placed in and around domestic and International airports where it convey the message on behalf of an advertiser. 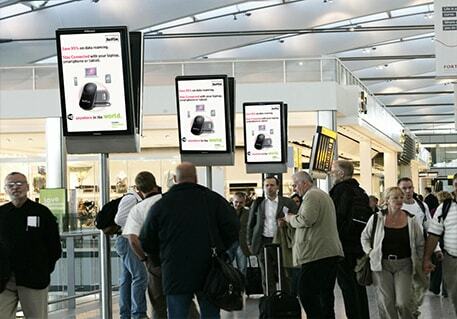 Airport ads delivers your message to business and leisure travelers. Whether you`re trying to raise awareness about your brand, product or service. Airport ads reach a uniquely affluent and captive audience. Frequent flyers are typically business decision makers and comprise of 68% of total airport traffic. We offer airport advertising opportunities at Banglore, Mumbai, Delhi, Goa, New Pune International Airport, Jaipur International Airport, Pune Airport, Chhatrapati Shivaji International Airport (Mumbai Airport), Rajiv Gandhi International Airport (Hyderabad Airport) & many other locations. Airport Ads act as an OOH Advertising. 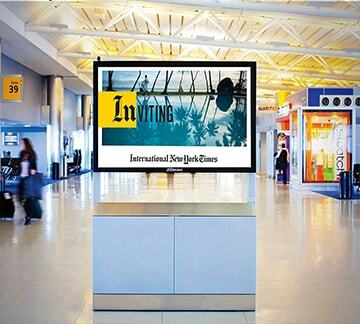 Which offers flexible range of media opportunities, ranging from long-term and short-term indoor and outdoor advertising panels, airport ads exclusively provide the brand message to customers through a highly interactive media. Airport Advertising India in Mumbai. Airport Advertising India in Delhi. Airport Advertising India in Kolkata. Airport Advertising India in Bangalore. Airport Advertising India in Ahemdabad. Airport Advertising India in Surat. Airport Advertising India in Pune.